Pace Gallery has announced its first exhibition of work by Richard Pousette-Dart. 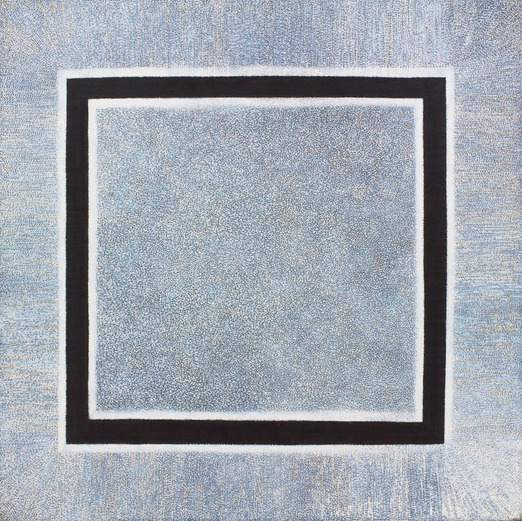 The exhibition will feature twelve paintings and ten works on paper examining the artist’s use of geometric imagery from the late 1960s through the mid-1980s. To accompany the exhibition, Pace will publish a catalogue featuring a new essay by critic Alex Bacon, quotations from the artist’s notebooks and excerpts of scholarly texts by Robert Hobbs, Sam Hunter, Carter Ratcliff, Barbara Rose, Philip Rylands, Martica Sawin, Lowery Stokes Sims and Robert Storr. Richard Pousette-Dart (1916–1992) was a leading voice in the New York School and the youngest figure in the first generation of Abstract Expressionists. He is one of few artists to have had solo exhibitions organized by four of Manhattan’s premier art museums: the Solomon R. Guggenheim Museum, The Metropolitan Museum of Art, and the Whitney Museum of American Art all presented posthumous surveys of his work, while the Whitney also presented two exhibitions of his work during his life, and The Museum of Modern Art organized a touring exhibition of his work in 1969. The constellation of gestures in Pousette-Dart’s paintings—what he called presences—generated what he viewed as the works’ transcendental potential. “Art reveals the significant life, beauty of all forms—it uplifts, transforms it into the exalted realm of reality wherein its pure contemplative poetic being takes place—wherein art’s transcendental language of form, spirit, harmony means one universal eternal presence,” he wrote. This is his first exhibition at Pace.